Matt Josefs has worked with realtors for the past six years as a digital marketing consultant with TorchX and Web.com. He has a passion for working with agents and brokers to help them discover marketing solutions that best fit their brand and growth goals. Matt has leveraged his wealth of digital marketing knowledge to help over one thousand realtors achieve their goals. He represents TorchX at over 40 real estate events and conferences each year, and his expertise has recently given him the opportunity to speak at various real estate events throughout the United States and Canada. Most recently, Matt has been a featured speaker with the Xplode Conference, which teaches agents about today’s best marketing practices and the most useful technologies. He is proud to represent TorchX, which offers the best all-in-one solution for agents and brokers, with a client success rate that speaks for itself! 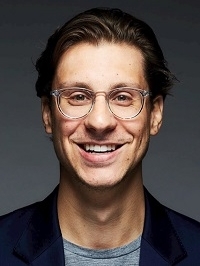 Matt holds a Bachelor of Science in Marketing from Central Connecticut State University, and he lives in New York City.